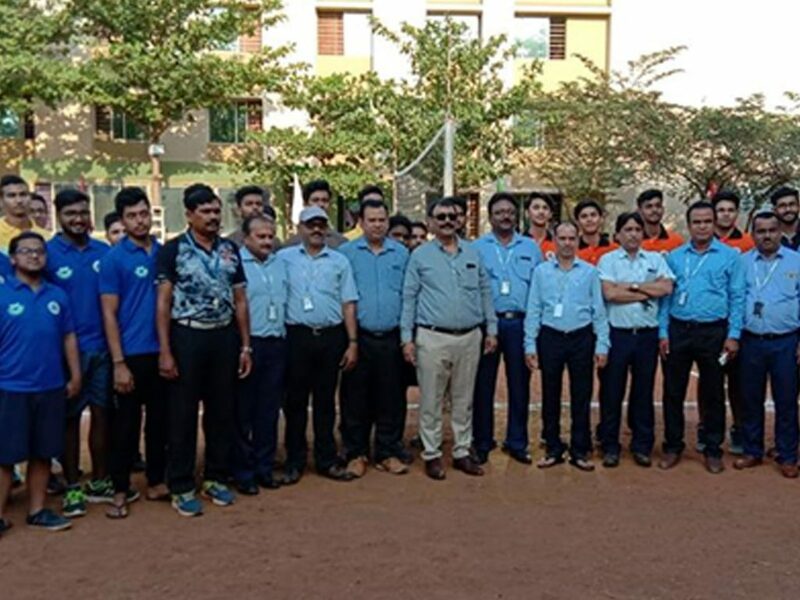 The Annual HPL(Hostel Premier League) Volleyball Tournament-2019was inaugurated on 27th March, 2019 by Mr. S.K. Rath, Dy. Registrar, Hostel and the 1st ball was played between Dr. B. Sahoo, Director, SA and Mr. P.K. Mohapatra, Dy. Director, Admission in presence of Mr. Snehasish Rout, Head, MM along-with other officials. The Tournament continued till 2nd April, 2019. 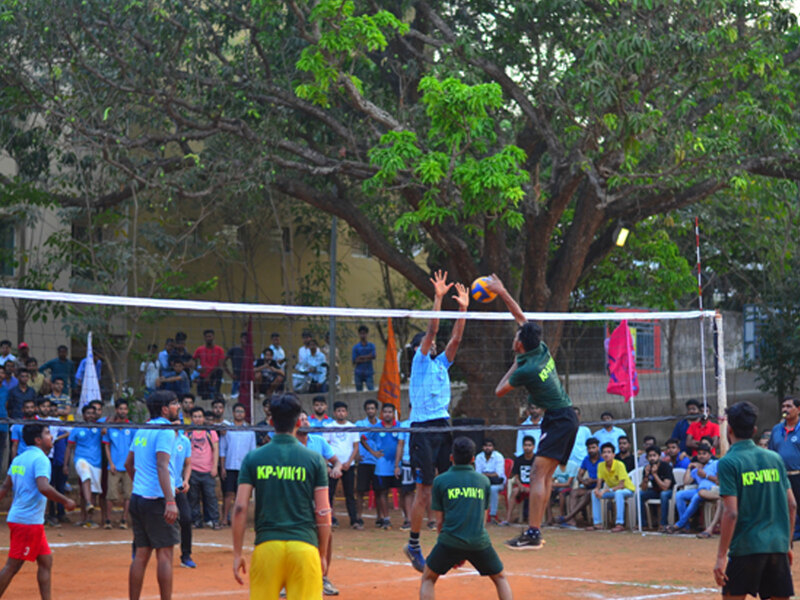 17 teams from various hostels participated in the Inter-Hostel Volleyball Tournament. The final match was held on 2nd April, 2019 between Kings Palace-1 v/s Kings Palace-7. 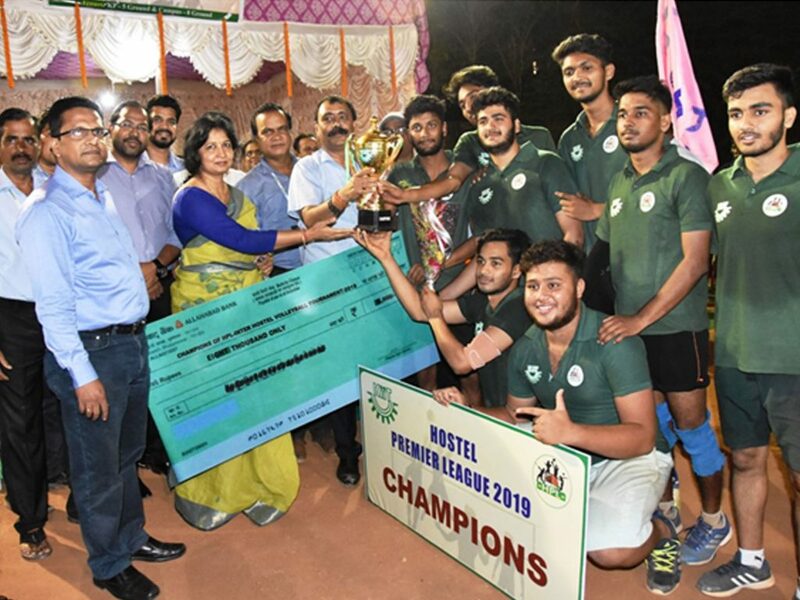 The Champion Trophy was given by Dr. Sasmita Samanta, Registrar, KIIT DU, to the winning team Kings Palace-7 and the Runners Up Trophy was given to Kings Palace-1. The entire Tournament was held amid a disciplined and friendly atmosphere witnessed by a large audience from all boys hostels. The final match on 2nd April, 2019 was attended by Dr. B. Sahoo, Director SA; Mr. P.K Chamupati, Jt. Registrar, Admin; Mr. S.K. Rath, Dy. Registrar, Hostel; Mr. Satyabrata Das, Head, Publication; Mr. Samabesh Nayak, AO, KSOM; Mr. Satya Sundar Das, AO, Housing and Hostel Superintendents. The Tournament was successfully held under the direction of Mr. S.K Rath, Dy. Registrar, Hostel and coordinated by Mr. T.K. Pati, AO, KP-5.